Renewable Energy options are plentiful, and also confusing enough for you to know that comparisons with more traditional home energy supplies are vague, at the very best, and completely cost prohibitive, at worst. Some remote sites leave little option, but unless a Planning Department details provision as a necessity in applications, major developers are unlikely to consider any of the following options. If you however plan on staying at your new build for a long time any number can work out as a cost effective option. If we are attempting to advise anything worthwhile on this website it is to carry out as much research as you can before making any costly decisions. 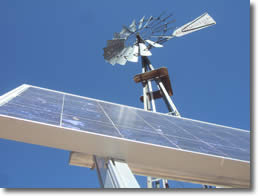 2 Wind Turbines: There are three basic mounting options for Wind Turbines. The roof mounted 1kW Micro-Wind system costs around £2,000. The 2.5kW pole-mounted system will be around £15,000. And a larger, 6kW pole-mounted system, costs around £22,500. VAT is set at 5%. 3 Solar Photovoltaic Panels: The typical domestic solar PV system will be 3.5kWp and costs around £7,000 plus 5% VAT. If you had ordered at the height of the Feed in Tariff benefits, systems were more expensive, but costs have fallen significantly as the benefits have decreased. 4 Solar Water Heating Systems: The cost of installing a domestic solar water heating system is around £4,000 plus 5% VAT. 5 Biomass Systems: A pellet stove will cost around £4,000 including installation. The installation of a log stove will usually cost less than half of this, including a new flue or chimney lining. There is a huge range of stoves available. With regard to the boilers; an automatically fed pellet boiler for a typical domestic installation will be around £11,000. VAT is set at 5%. A manually fed log boiler system will be less expensive. 6 Hydroelectricity: Costs for installing a Hydro-Electricity system vary greatly. Much depends on location and the amount of electricity you can generate. A typical fully installed 5kW system, which would be suitable for an average home could cost from £25,000. 7 Air Source Heat Pumps: Installation and equipment costs will be between £5,000 and £10,000. Running costs relate to property size, insulation levels and room temperatures. 8 Ground Source Heat Pumps: Installing a standard system will cost between £8,500 and £16,000. Running costs relate to property size, insulation levels and room temperatures. The UK Government has a scheme called the Renewable Heat Incentive. This is aimed at householders who replace their existing heating method with a renewable energy option. It is a scheme where householders are paid for unused heat generated by their system. There are also subsidy grants available at present, but these are not as generous as they were. This document sets out the tariff rates for the Feed-in Tariff scheme from 1 February 2013 to 30 April 2013, for Photovoltaic installations.